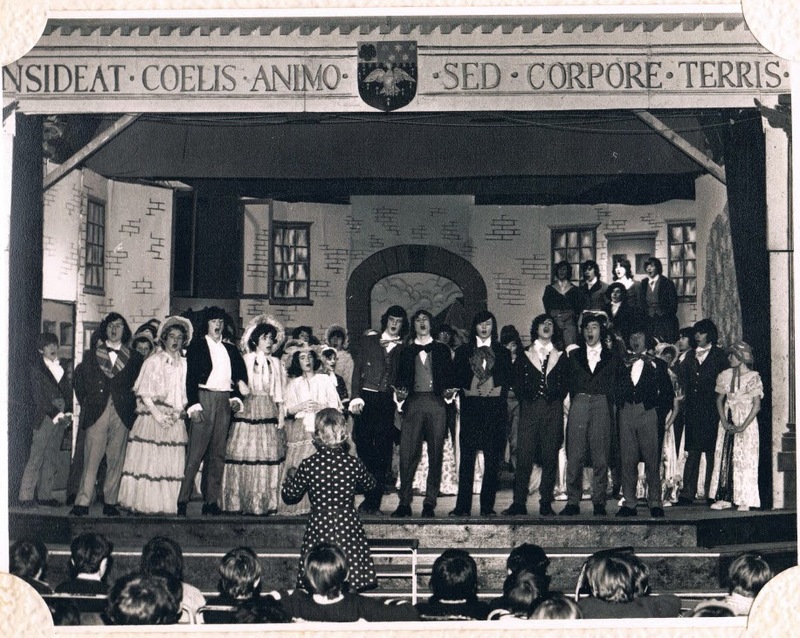 Courtesy of one of my Cistercian College Roscrea class of 1977 colleagues (thanks Pat C.), here are a few photos of musicals that I participated in at school. I had not seen these photos before, and it was nice to be reminded of a time long ago when I actually got on stage in my short-lived musical career. 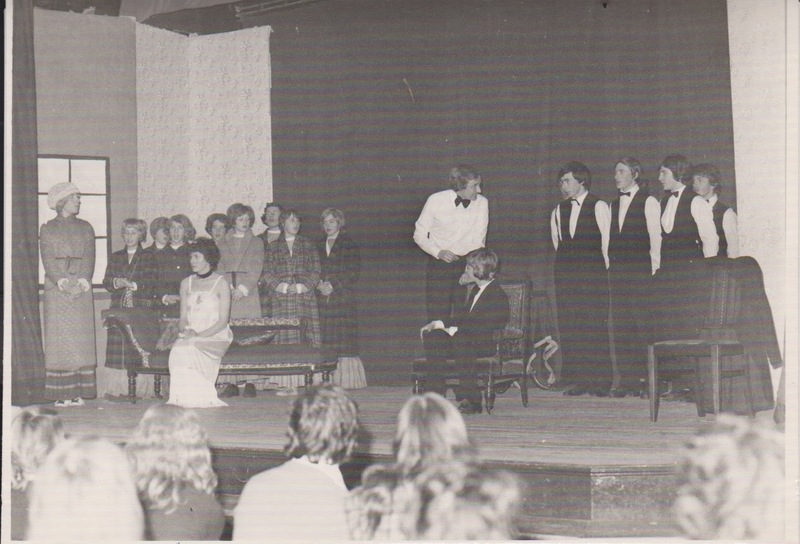 Lilac Time (1973): I'm the middle one of the three "girls" on the left. 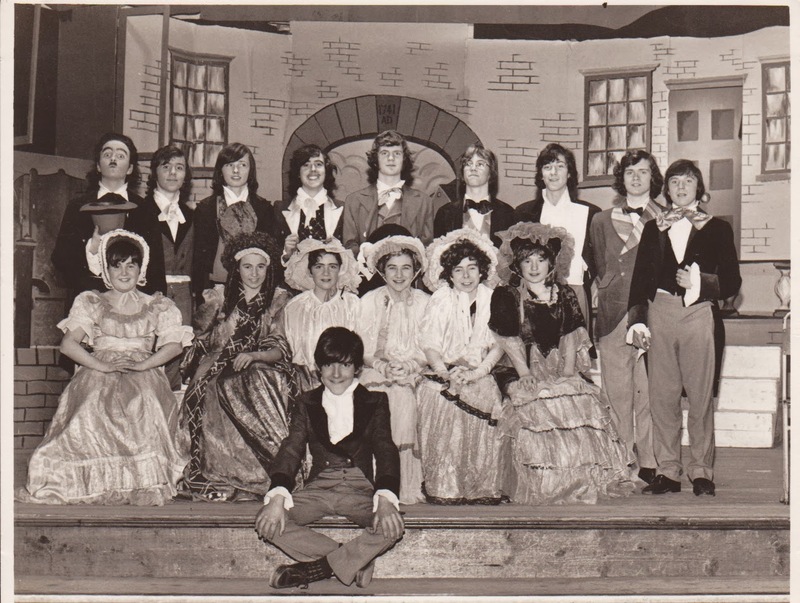 My Fair Lady (1975): I'm at the front left of group of "servants" on right. 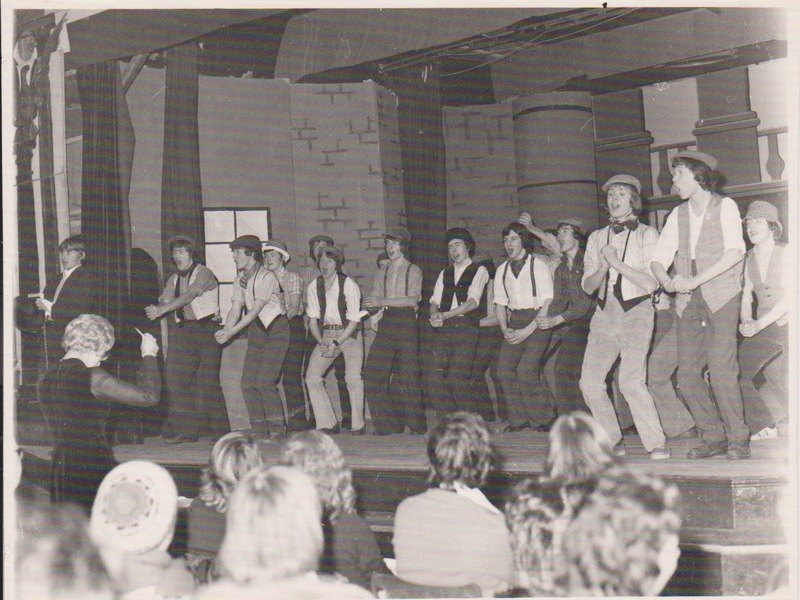 My Fair Lady (1976): Dancing centre stage! 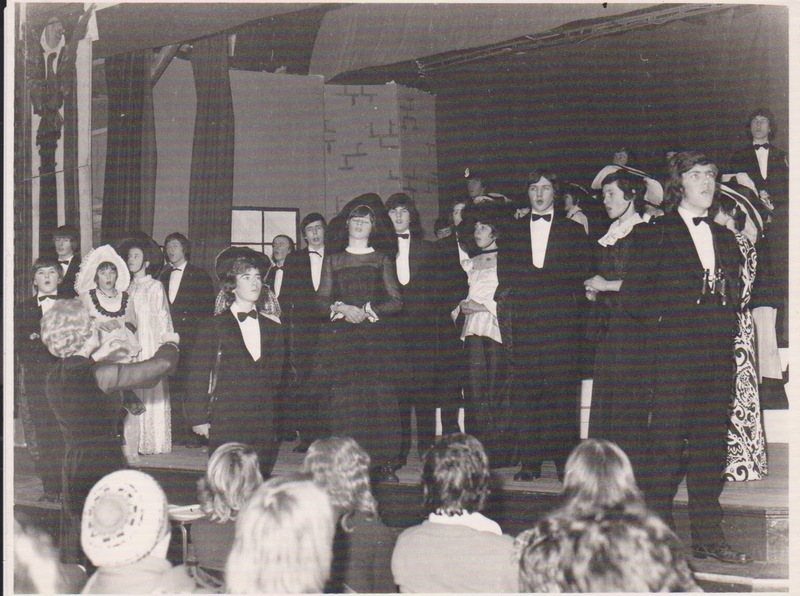 My Fair Lady (1976): The Ascot Races scene, I'm just to the right of the "window" on the left side of stage.